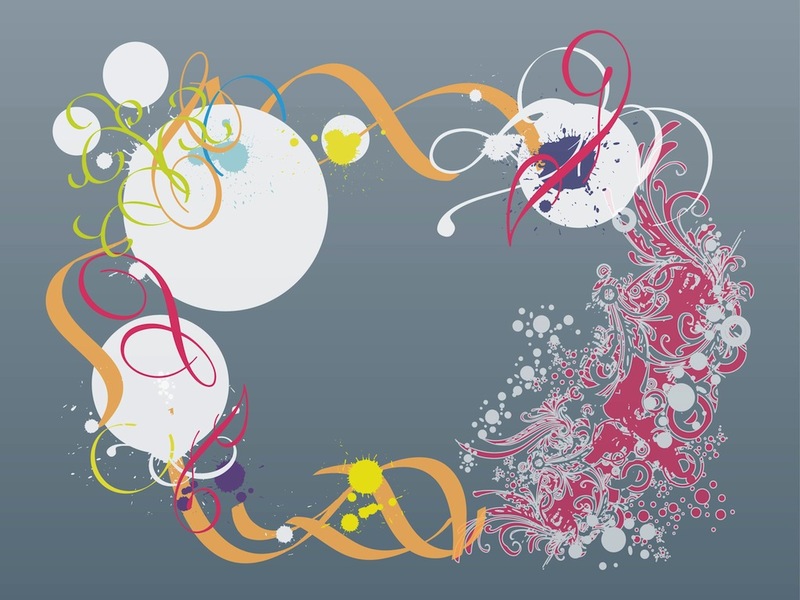 Abstract vector frame consisting of many colorful images. Overlapping geometric shapes, blobs of paint, waving lines and abstract floral silhouettes forming a rectangular frame to use as decoration in all your projects. Free vector graphics for all posters, flyers, wallpapers and greeting cards designs. Tags: Abstract, Colorful, Colors, Floral, Flowers, Geometric Shapes, Lines.